Susan Heim on Writing: Summoner Rising Release Day Celebration and Giveaway for a DVD of "The Craft"! Summoner Rising Release Day Celebration and Giveaway for a DVD of "The Craft"! 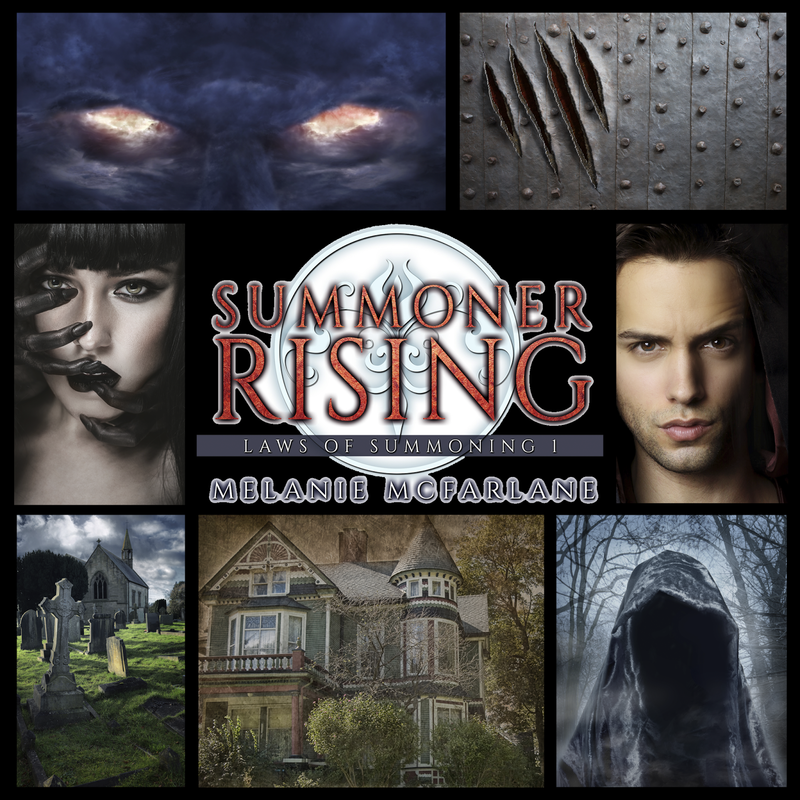 SUMMONER RISING by Melanie McFarlane releases today, and I get to share the news! If you haven’t yet heard about this book by Author Malanie McFarlane, be sure to check out all the details below. This blitz also includes a giveaway for a DVD of THE CRAFT, US only, courtesy of Month9Books. So if you’d like a chance to win, enter in the Rafflecopter at the bottom of this post. Law One: A summoner is responsible for all creatures it lets through from the netherworld. Dacie Cantar wishes someone had explained the Laws of Summoning to her before she watched a shadowy creature crawl out of a painting at the local arcade. At least it explains the strange things she's witnessed since moving in with her great-aunt, after her mother’s untimely death. But who wants to be followed by shadows the rest of their life? Add that to being stalked by a strange boy at school, who just might be her Tovaros (aka soulmate), it’s about all Dacie can handle in her new life. When we pull up at the front of the house, everything is dark. Katya must be out. I stay quiet as I close the door and walk onto the front porch. I relax my body against his and Tryan leans down and kisses me. His lips are soft and gentle, and I melt against him. The stress of this last month melts away. A shiver runs through my body and Tryan mistakes it for a chill. “Let’s go inside,” he says, pulling my hand toward the door. As Tryan grabs the handle, the door creaks open. It’s not locked? He looks back at me with a frown creased across his brow. I push past him into the house. “Katya?” I call out into the darkness. Nothing. Lights flicker into the kitchen through the open patio doors on the other side of the house. We slowly creep around the side of the house, following the flickering lights to the back yard. Between the tall fence and the wooden siding of the house, we’re sitting ducks. We slow down as we reach the back corner and Tryan grabs my hand. I nod and hold back as Tryan passes in front of me. He peers around the corner, then holds up a hand for me to stop as he disappears into the backyard. I shuffle around the corner, but Tryan is nowhere to be seen. Lights are hanging along the fence to the back of the property, flickering on and off. “Tryan?” I whisper. No answer. I look back. Where is he? “Tryan?” I call out a little louder this time. Melanie McFarlane is a passionate writer of other-wordly adventures, a little excitable, and a little quirky. 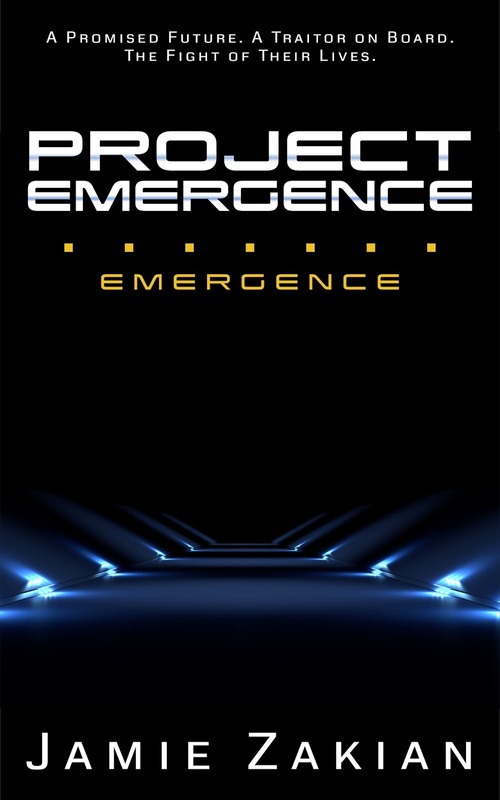 Whether it’s uncovering the corruption of the future, or traveling to other worlds to save the universe, she jumps in with both hands on her keyboard. 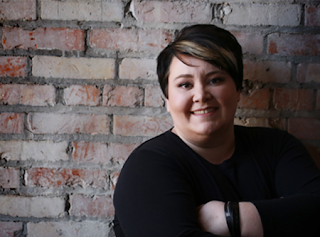 Though she can be found obsessing over zombies and orcs from time to time, Melanie has focused her powers on her YA debut, There Once Were Stars, and her YA urban fantasy, Summoner Rising. 1 winner will receive a DVD of THE CRAFT, US Only. Well if you're going to call up what are basically demons from Hell, the least you can do is shoulder a little responsibility. 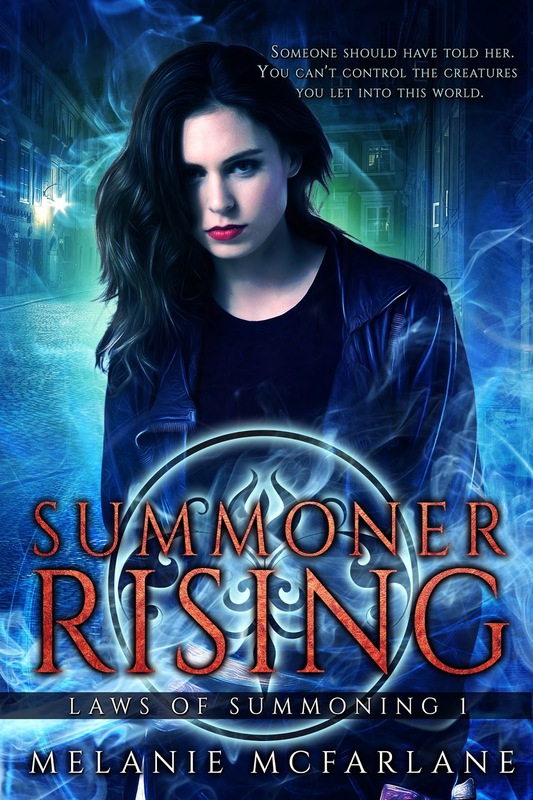 Summoner Rising sounds like a fantastic book. Very intriguing. This sounds like a very entertaining, and interesting read. What an incredibly talented author!